Those with an annual salary of up to Rs . 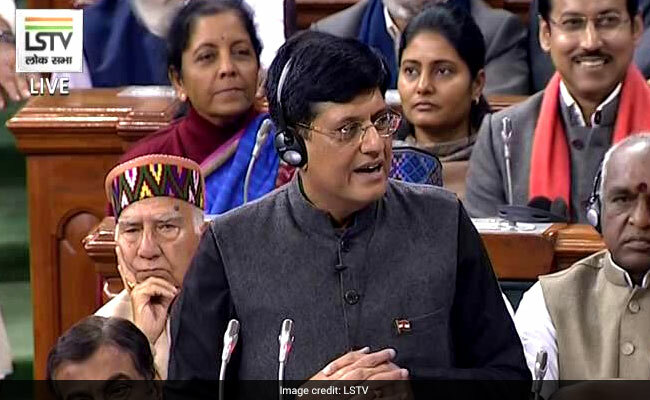 5 lakh will not have to pay income tax, Union Minister Piyush Goyal said while presenting the interim budget in parliament today, after making a series of big announcements ahead of the national election, due by May. The minister also announced the widely-anticipated scheme for farmers which would provide direct income support for small farmers. It is the last chance for the ruling BJP to cover its bases after it lost three major states in last year's elections to rival Congress. "India is solidly back on track. We have created the foundation for growth and prosperity for all people, and create a new India by 2022," Mr Goyal said. Income tax refunds will be processed within 24 hours and released immediately, the minister said. On Thursday, the government went into damage control mode as a yet-to-be-released report said unemployment was at a four-decade high in 2017-18.